Practice of Zen in yoga school is held in the tradition of Japanese Rinzai school line, the most famous representative of which is Hakuin Ekaku and his successors. 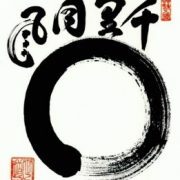 Today the great teacher of the tradition is Shodo Harada Roshi – currently leader of Sogenji Monastery in Okajama, Japan. Shodo Harada Roshi’s teachings are based on profound sympathy and the main Mahayana doctrine – all living beings are endowed with clear and pure ultimate Buddha’s mind. The aim of our practice – to realise this mind within ourselves and help to achieve it to all living creatures on Earth.